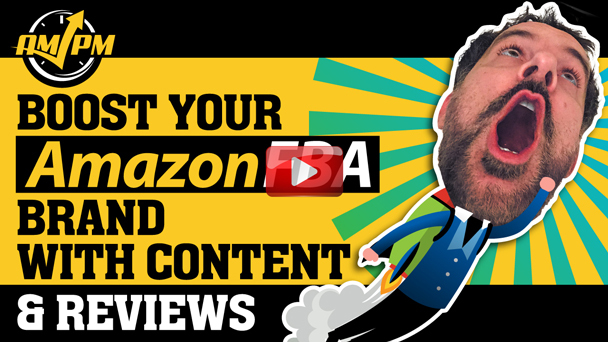 Now that selling on Amazon has become more popular than ever, it can be difficult get Amazon reviews for newcomers to Amazon FBA, especially if they want to build up their brand quickly. Bootstrapping can come with its hurdles, but growing your business is more than simply throwing money into products and creating listings. There is something to be said about giving value back to your customers, even if they haven’t purchased any products from you yet. Providing value, whether it comes in the form of discounts, updates, or informative content, can give Amazon sellers that extra boost they need to see quick growth. In this episode of the AM/PM Podcast, host Manny Coats speaks with Amazon FBA newcomer Sam Baig who first launched his Amazon business in October 2016 and made six figures in just three months. Sam’s success is considered pretty significant considering that he has no prior business experience and his private label business has grown exponentially in such a short span of time. However, Sam does admit that his Amazon FBA business is just a side gig right now since he currently works a day job. His diligence and commitment to making his business model work are truly a credit to his natural acumen for eCommerce. Sam’s uncanny ability to spread the word about his products by providing value through deliverable content via email has paved the way for him to get well over 1700 reviews for his products in less than a year. As most Amazon sellers know, the Amazon marketplace landscape is always changing with the eCommerce giant throwing new rules and hurdles at sellers. It’s always interesting to hear a success story from someone relatively new to the business to see his or her methods, and Sam is no exception. Sam started out with an investment of $10K into one product in one color, and now earns around $300K per month or almost $4 million annually from 40 ASINs. He currently only sells in the United States but is considering an expansion into the UK. So what is the secret behind Sam’s success as a new Amazon seller? He admits that he went in with the mindset of scaling quickly (hence the significant upfront investment), and reinvested the majority of his earnings into his products to achieve fast growth. Part of Sam’s initial strategy was building his brand on Facebook, Twitter, and Instagram. He began by utilizing Facebook ads to build up interest in his products and to better hone in on his target audience. Additionally, Sam chose to stick with four products (ten variations of each) under one brand for better sales volume, which also proved to be fruitful when getting product reviews. His best-selling product family has well over 1700 Amazon reviews, which he credits in part to high volume sales, but also with follow-up emails that offer valuable content to customers. 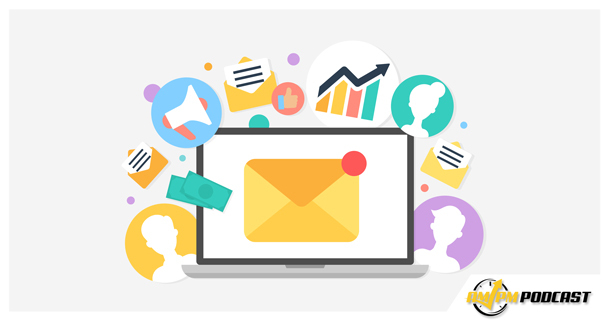 These emails are crafted to be friendly and relaxed to inspire a real connection with customers instead of being overly aggressive in sales pitches. The PDF attachments are also crafted with strong attention to detail, readability, information organization, and a visually pleasing presentation. Sam has seen significant sales volume with follow-up purchases from customers by offering a one-time use, limited-time offer “20% OFF Your Next Purchase” coupon code for all products in these follow-up emails. This coupon strategy, in tandem with informative content, has helped his business take off like a rocket by encouraging repeat business and brand trust through offered value. Another small detail that helped Sam scale his Amazon FBA business quickly was trying to keep costs down without sacrificing the quality of the products offered, so he opted for more lightweight products due to their ease of shipping, both physically and financially. Additionally, lightweight items are also easier to grant hassle-free refund or exchange options whereas heavier products demand more effort to return. To scale your Amazon business quickly, Sam also placed a heavy emphasis on brand building as it helps customers to learn your name as well as trust your brand online and offline. To achieve a loyal following outside of Amazon reviews and content, Sam suggests engaging with your target audience via social media channels to build a rapport and make your brand feel more human. Performing outreach to your customer base, along with every other task related to your Amazon FBA business, can definitely be time-consuming. Finding a balance between your Amazon work and life (particularly if you are just starting out and have no staff or VAs) is critical to growing your business quickly without burning out just as fast. If you are planning to quit your day job and put your full effort into your Amazon FBA business, Sam suggests waiting until you are making six figures net profit per year (after all your costs have been accounted for) for two years in a row; for Sam, he plans on waiting until he makes at least 500K net profit before he considers quitting his day job. For people just starting out looking to scale quickly, striving to break even in the beginning is an amiable goal in addition to having a robust PPC budget to advertise your products. Also doing your due diligence and researching the top keywords in your industry should be a high priority. All new (and frankly ANY) sellers should strive to rank highly for the top three or four keywords found through properly done SEO to get higher exposure for products. In terms of how much to spend on PPC campaigns, Sam suggests putting your money into robust PPC advertising in the beginning as the payoff tends to be better for fast growth than a slow-drip strategy. This strategy isn’t cheap, as it can easily add up to hundreds of dollars a day, so planning to invest a good chunk of change in PPC early on should be part of your initial investment into your Amazon business. Using tools like the Helium 10 suite is highly recommended for detailed keyword research. Amazon sellers should also be prepared to leave room in the budget for A/B testing of keywords to find which ones do best. Sam suggests conducting these early PPC campaigns manually for a week or two at a time to give you relevant data on keyword performance. From there, you can make more informed decisions on where to put your money during future campaigns for better ROI. Inventory management is also a crucial skill to learn early on mostly because new sellers may not be aware of the full process of sourcing products such as ordering, manufacturing, and delivery times to Amazon distribution centers. It can be exciting when your products sell quickly, but also providing enough lead-time to your supplier also ensures that you don’t abruptly run out of inventory and have to say “Out of Stock” for a month or more. An early pitfall for new Amazon sellers can be choosing the right supplier for your products, as many factors such as quality of products, reputation, turnaround time, and the length of time it has been operational play critical roles in making sure you don’t get burned early on. Spending the time to get to know suppliers, how they do business, and comparing their work with other suppliers is a time investment you will not regret. As with educating yourself on suppliers and advertising strategies, the best lesson any new (or existing) Amazon seller can learn is to absorb as much information as you can about selling on Amazon from experts and influential sellers so you lessen your risk of making most of the rookie mistakes mentioned above. 06:07 How Do You Get 1700 Reviews in Just 7 Months? 14:51 How Important is Building a Brand on Amazon? 15:39 Does Emailing Content to Customers Increase the Number of Reviews? 18:52 When Should You Quit Your Day Job to Go Amazon FBA Full-Time? 27:21 What Has Been Your Biggest Challenge? 31:53 How Did You Learn to Run Your Business? 33:28 What Has Been Your Biggest Win So Far? 34:46 What Would You Do Differently in Retrospect? Ready to get serious about your Amazon FBA game? The Illuminati Mastermind offers monthly training for intermediate to advanced level sellers (not recommended for those new to Amazon) for advanced tips and tricks to help your sales climb higher. This program is designed for six, seven, and eight-figure sellers, so only serious sellers should apply! Reserve your seat today so you don’t miss out on this helpful webinar! Spend less & make more with the ultimate software tool suite for Amazon Sellers! Helium 10 offers 10+ tools that help you to better optimize your listings and increase sales with an easy-to-use system for one monthly membership price.